Ghosts on the hospital ward? Posted: Fri Dec 12, 2008 7:24 pm Post subject: Ghosts on the hospital ward? Hi Guys. This is my second post and thought I would share an experience from a few years ago. I was working in a large, very old hospital which had previously been a workhouse for children and many other things. We had a frequent problem with fire doors being opened and nobody being in the vicinity. It was frustrating and you were always up and down restarting the alarm which sounded whenever a door was opened. On this particular afternoon I was sat in a lounge beside a corridor with two fire doors in close proximity. I heard an alarm sound and reluctantly (due to a long day) walked into the corridor to see where the alarm was being activated. As I entered the corridor I immediately saw that a door was open beside the lounge and ventured outside to check nobody had inadvertantly walked outside etc. On my return I shut the door and immediately thought of an old lady (living) whom was being cared for in the ward as she was thought to be the person responsible for the doors opening as she was forever walking the ward and corridors cleaning glass etc. However, as I was thinking this I saw the lady in the distance walking towards me and quickly realized it could not of been her. At this point I thought to myself ' who keeps opening these doors'. I then turned my head towards the corridor end which had two large fire doors with push bars upon them. Immediately the right hand bar began to shake furiously in what I feel was a direct response to my thinking and a very clear answer .. 'ME'. Intrestingly, this part of the corridor was always freezing despite the weather and the patients often complained of the children keeping them awake at night. Could this relate to the building as a childrens work house?? One member of staff was almost knocked out when a part of the ceiling which was directly above them fell to the exact spot they had been standing only seconds before. Although this may well have been a physical defect as this building was old and in some areas worse for wear. No. I had other strange things occur at the hospital like lights going on and off, figures in the corner of your eye etc. I do recall sitting with a chap who was in the final stages of life. As he passed the smell was like I was sat in a field of summer flowers. I left the room and went to speak to his wife and prepare him to be visited by her. When I returned I, as always, addressed him by name and spoke to him respectfully to let him know exactly what I was doing with his body and reasured him. Above him was a wall lamp which turned off and the light in the opposite bed turned on which then turned off and then the light above the sink illuminated. I joked with him that it was good of him to talk to me although I have to say he was a pretty angry man in life so he was probably telling me to shut up and leave him alone. lol. Of course the lights could of been a million things but considering the circumstances at the time I like to think it was him having his last rant at me! Just letting you know he was still around. Seems the place is either haunted with children or a lot of residual haunting or could be a combo of both. Sounds like a great place to take lots of photographs. What an interesting place you work at! Have you taken in photographs where you work? You may be surprised what may develop. Hi all. I have long since departed this hospital but I have found a whole new world of experiences in my present place of employment. It is a large building which was built in 1952 and had been a family residence until 2000 when it was taken over as a care facility for young people with mental illness. When the building was being developed the activity was amazing and still continues today. On one occassion myself and another were in a bathroom fitting facilities. This room was previously a store room so it was a big change. Anyway, we heard an almighty bang on the outside of the door which sounded to be like a fist. As we were alone in the building at the time we immediately thought somebody had trespassed and we ran out of the room and both split up to find who had done this. On return to the room we both confirmed the building was secure and it was only then it dawned on us that it could have been 'something else'. As the developments continued we noted smells of tobacco and also a very pungent fish smell. The fish smell is very odd as it does not permeate it seems to stay in a channel and you only smell it if you enter this area whilst standing just to the side of it you smell nothing. It also moves around the lower floor of the building so you never know where it will appear. The smells continue to transpire today. 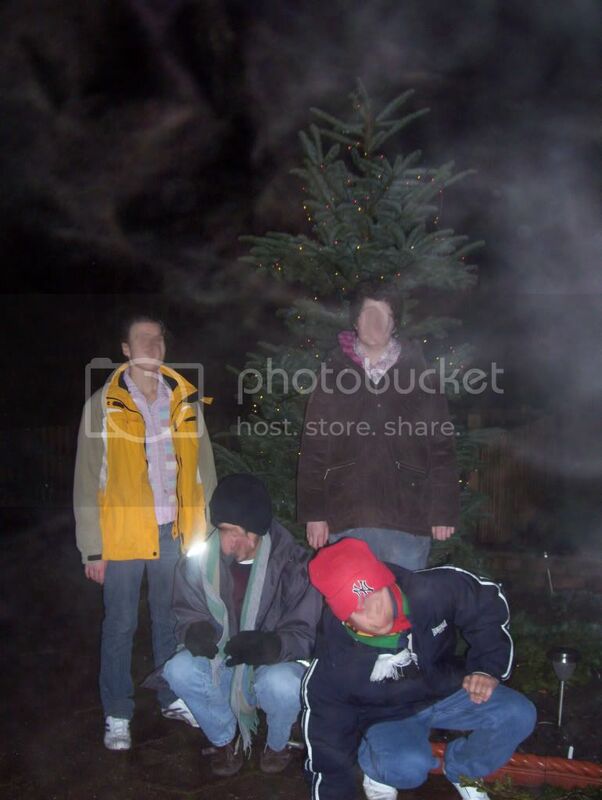 We have taken lots of pictures and one taken only last week of some of the young people infront of the Christmas tree shows a very strange mist all around them (which was not on any other pictures taken at the same time) and two large orb shapes with what seems to be a face within one of them. I did try to upload it to the pictures section but failed. It is very perculiar. Mental illness generates it's own energy in emotion. Not surprised there is activity either residual or from some who may have passed while a resident there. Thanks for that. 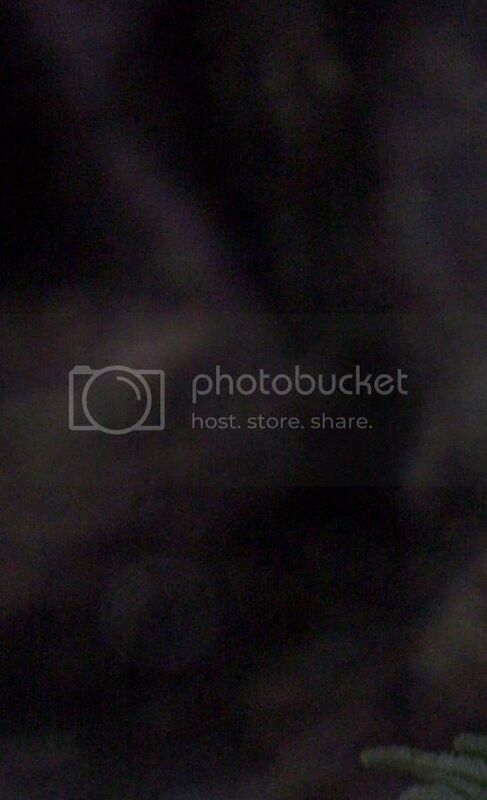 I hope I have uploaded via photobucket and the links are below. I have removed the faces of the young people for privacy reasons, I realize that looks a bit spooky in itself. The second image is a closer shot of the orbs. I have tried to tag around what I feel is the strangest. I'm still out on this type of photo.. have to take one myself to see it for myself that it is real. Does that make sense lol? Well yeah. I can see why it might look altered. I can assure you it is very real as I am a 100% genuine believer in the spirit world and generating a picture just for impact is not my thing. It was only when I came transfer the images from the camera to the pc that this was noted. Also, as I mentioned earlier the next picture taken on the camera which was taken only seconds later shows nothing but those in the picture and the tree. That is what is even more odd. I wasn't saying yours was faked. I just haven't seen enough evidence to make me believe that the "smoke looking stuff" is spirit energy or some other thing. I have taken a few pictures where this smoke/mist has appeared. I thought it was perhaps my breath caught on camera. It seems that you usually see this when the temperature is low/cold out. Of course this is just an opinion. Thanks for the comments guys. I take on board everything said and appreciate you taking the time to do so. They are very odd but one must look for logical reasons before defining it is paranormal.